Assuming new-found significance in the current political climate, the hugely successful show ‘This House’ comes to the Lyceum from 29 May until 2 June. 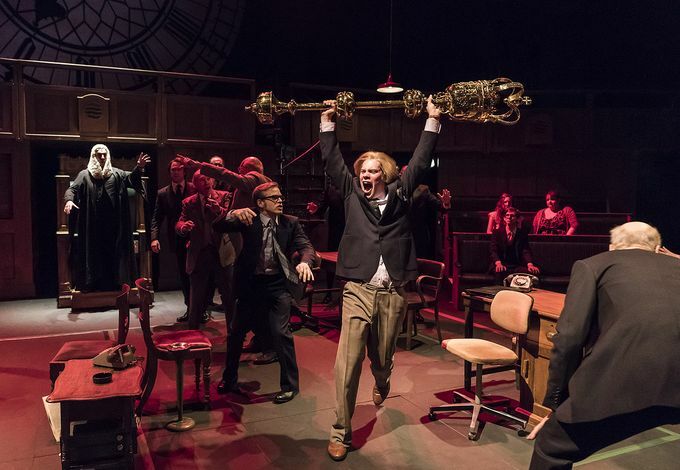 Following a string of sell-out runs at the National Theatre and in the West End, James Graham’s critically-acclaimed play will strip politics down and reveal the skeleton of the Mother of all Parliaments – rules are bent, sleeves are rolled up. A chorus of chaos behind closed doors, ‘This House’ director Jeremy Herrin offers an amusing insight into the workings of British politics. 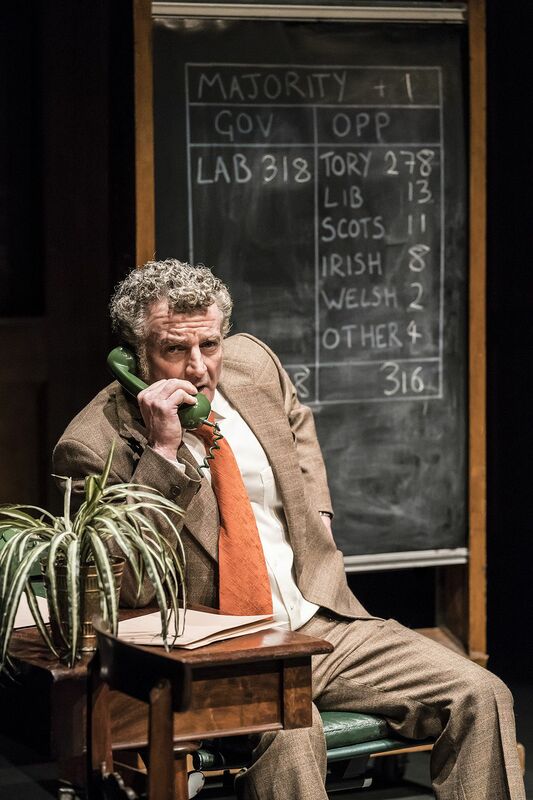 Ahead of another successful run at the Lyceum later this month, we caught up with Martin Marquez (as seen in Hotel Babylon, Les Miserables, The Crown, to name but a few), who will play chief labour whip Bob Mellish, for a quick-fire round of questions on the highly-anticipated play. We quite like the number five here at Alive After Five. Describe ‘This House’ in five words. Funny, revealing, compassionate, madness, uncompromising. How does ‘This House’ compare to other plays you’ve been involved with? The energy and timing are more important in ‘This House’. It feels as if it’s more like being a cog in the machine more than others. It’s not so much about the individual. The play opens the previously locked doors of Westminster and reveals a volatile and perhaps weak parliament. How has ‘This House’ portrayed this? I think it’s mainly through the frailty of human nature. The play focusses on the relationships between the characters. How do you get into character as Bob Mellish? What sets him apart from the other characters involved? I get into a jokey frame of mind – Mellish is the Joker – this sets him apart. Has James (Graham) captured life in parliament in contrast to other political plays? How? As far as I know, he has not focussed on the politics and policies but on the people involved and their interactions and this is what really makes ‘This House’ differ from the rest. This House has had various sell-out runs at the National Theatre and in the West End. As it arrives in Sheffield, do you think audiences will take differently to the play? Yes, they will, I imagine they’re likely to pick up on local references and I’m expecting a greater sympathy with the Labour Party’s situation. What five words spring to mind when you think of Sheffield? Why? Lively, cool, cultured, friendly, upbeat. The UK and Sheffield have changed a fair bit since the 1970s. Is politics still just as chaotic now as it was then? Yes, just as chaotic and unpredictable, although there is a lack of ‘characters’ in modern politics, I feel. What can we learn from the politicians of the past (if anything)? What made this country great was putting society first, not the individual. Since Thatcher put the individual first, greed has escalated and is destroying this country. Catch ‘This House’ at the Lyceum from 29 May until 2 June, and see a play that has taken the West End by storm.